Scale printed in large print. 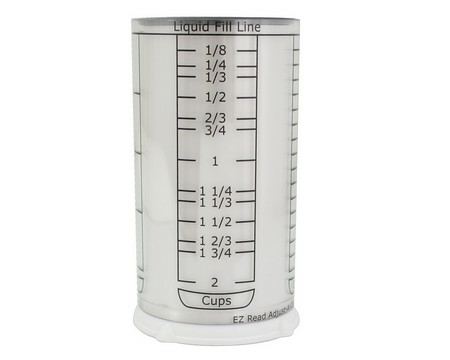 Standard measurements for liquid, dry or semi-solid ingredients. Measures up to 2 cups.